Long and skinny or fat and full, facial hair will be the featured guest in San Francisco tonight. Long and skinny or fat and full, facial hair will be the featured guest at a big event in San Francisco tonight. Specifically, in the form of moustaches. 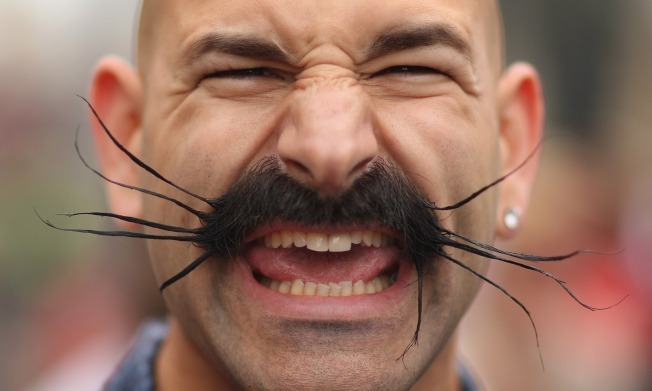 The upper lip adornments will be showcased and judged at the Gala Parte at Mighty on Utah Street to bring Movember to an end. No, that's not a typo. Movember. That's the month we just ended, according to the Lance Armstrong Foundation LIVESTRONG. It's the 30 days set aside each year to help raise money and awareness for prostate and testicular cancer. The club will be crawling with "Mo Bros" and "Mo Sistas" tonight as the hairy event comes to an end for the year. Yes, women are encouraged to get in on the mo action too, but instead of skipping appointments to wax the upper lip during the month, they're around to support the men and garner prizes at the party. Nearly $50 million has been raised to date around the globe since the foundation started the prickly campaign in 2003.